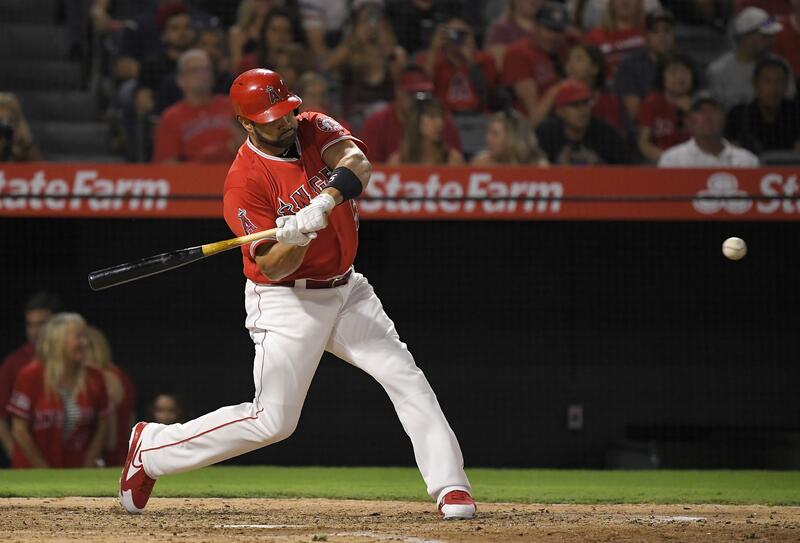 Wed., Aug. 29, 2018, 6:13 p.m.
ANAHEIM, Calif. – Los Angeles Angels slugger Albert Pujols is likely to miss the rest of his 18th major league season after undergoing surgery on his left knee. The Angels announced Wednesday that Pujols has undergone arthroscopic knee surgery performed by Dr. Neal ElAttrache in Los Angeles. Recovery time is typically at least six weeks, and the Angels’ season likely will be over in 4 1/2 weeks. Pujols is sixth in baseball history with 633 career home runs after passing Ken Griffey Jr. last month. He is seventh in history with 1,982 career RBIs, just behind Lou Gehrig (1,995) and Barry Bonds (1,996), and close to becoming only the fifth member of the 2,000-RBI club. Pujols is batting .245 with 19 homers and 64 RBIs this season, but the Angels (64-69) are all but mathematically eliminated from the playoff race for the sixth time in his seven years with the club. Pujols’ 117 games played this season will be his fewest since 2013 and the second-fewest of his big-league career, which began in 2001 with St. Louis. The three-time National League MVP will be 39 years old when next season begins. He still has three seasons remaining on the 10-year, $240 million contract that he signed with the Angels, who have made just one postseason appearance and have yet to win a playoff game with two-time American League MVP Mike Trout and Pujols in the heart of their order. Pujols’ absence is likely to free up more at-bats in September for Ohtani, who also might return to the mound as a starting pitcher. Ohtani has been hitting only against right-handed pitchers in recent weeks, partly because the rookie has struggled against left-handers, but also allowing Pujols to rest his body as a DH against lefties. Published: Aug. 29, 2018, 6:13 p.m.